“It’s just a half.” I replied somewhat flippantly, when a colleague asked if I was nervous about my upcoming race. What I wanted to say was “While I can run 13 miles in my sleep, I’ve trained painfully hard for this race for the last few months and I really want to finish strong and PR; but I’ve heard the course is super hilly and hard. So, yes, I’m crazy nervous!” However, they were not a runner and I knew they were just trying to make polite conversation. 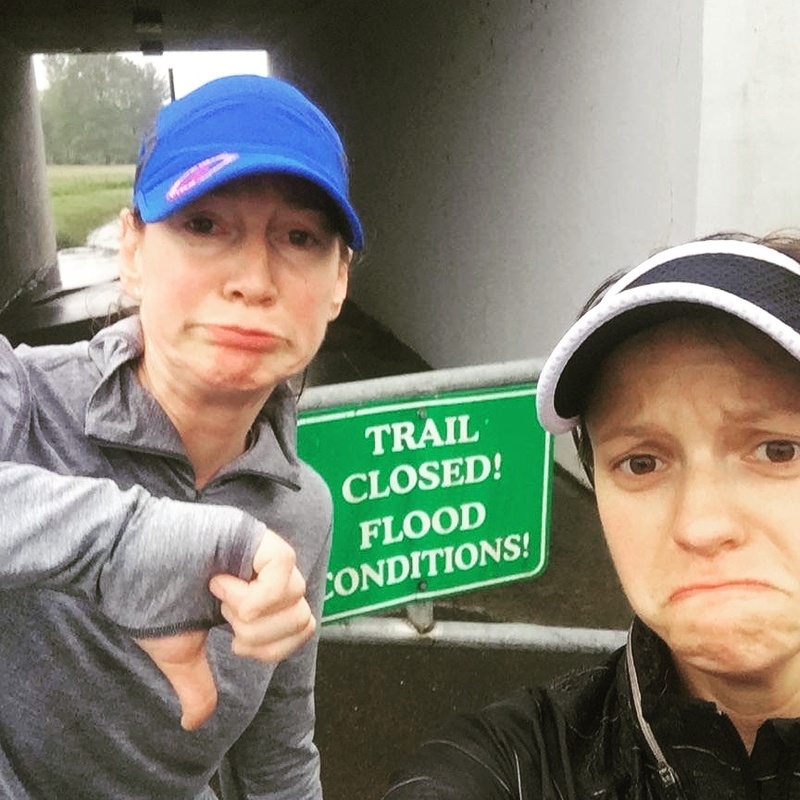 An honest answer would have likely been met with the same response I get when detailing my tempo run splits or taper angst with non-runners: the glazed eyes, furrowed brow and polite head nodding of confusion and non-interest. When training for a marathon I check every box on my training schedule, because I have a healthy respect for the distance and I don’t want to die. Half marathons, not so much. While I always “train,” I don’t usually follow any type of schedule or speed work. 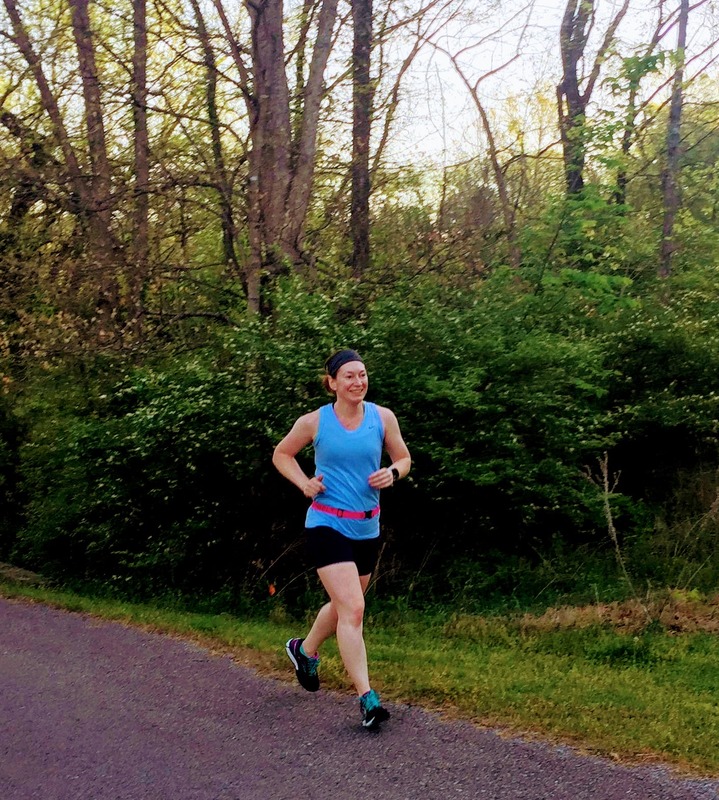 However for the Cincinnati Flying Pig Half, I followed the intense Hanson’s Method training plan and while it was the hardest I had ever worked for a half, my training was far from perfect. I managed to get in most of my speed work, but only hit about half of my tempo runs, which left my type A personality a little anxious as race weekend approached. With the race looming on Sunday, half our gang drove up to Cincinnati on Friday. 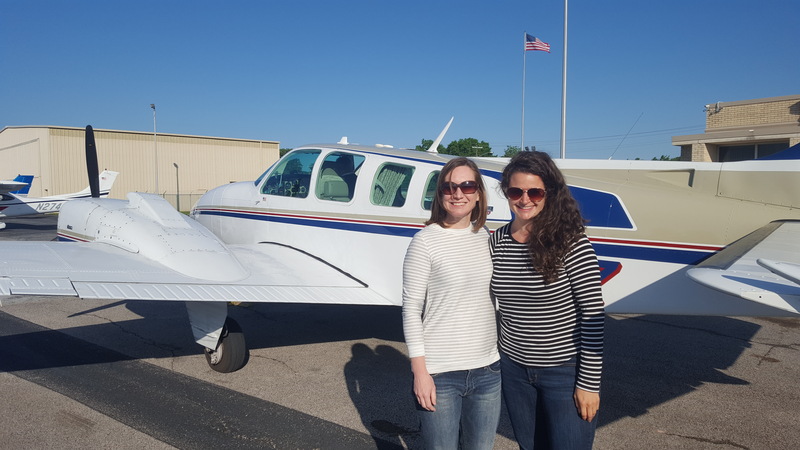 My son had field day on Friday, that I had promised to attend, so Shannon and I hitched a ride with her dad on Saturday morning… in his plane. 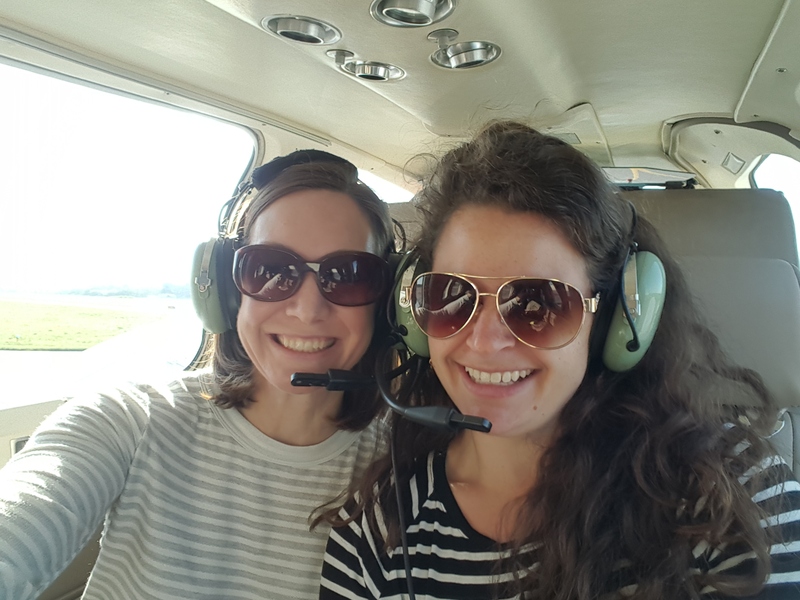 I hadn’t ridden in a small plane in years and to be honest I’m a touch claustrophobic, so I was quite nervous at the idea of being trapped enclosed. I’m so glad I pushed through my fears, because it was so much stinkin’ FUN. With all the windows in the plane you could see so much better than a commercial flight. As we flew right over downtown Nashville, the Titan’s stadium and Batman building looked like kid toys. It felt like an amusement park ride. The flight was only an hour and half and when we landed, our friends were there to pick us up and whisk us off to the Expo. I could totally get used to traveling like this. I love a good expo, and the Flying Pig did not disappoint. The race shirts were adorable and we also got a backpack and poster. Next we walked around downtown Cincinnati, which had a great variety of hip restaurants and shops. We decided to eat lunch at Kruger’s Tavern. 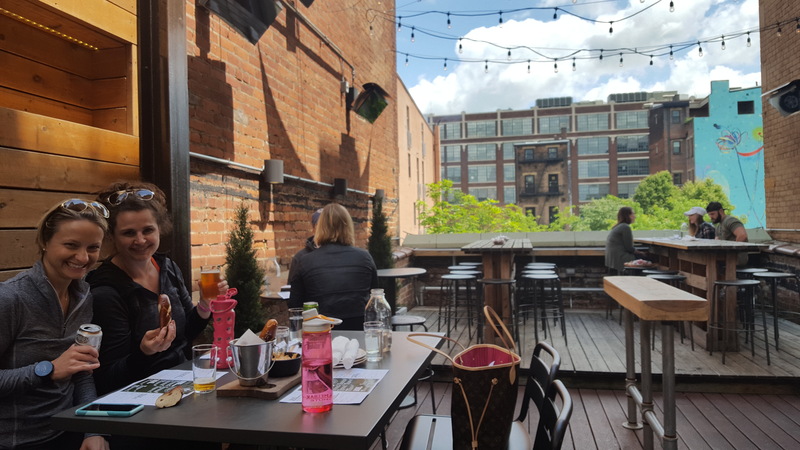 They had a fabulous (heated) rooftop patio where we relaxed and enjoyed our lunch. Later we headed back to the Hyatt, which was a perfect location for the race and across the street from the expo. That afternoon I did something beyond luxurious: I took a nap. By myself. On decadent hotel sheets. With no alarm set. It was heaven. When I finally aroused, we headed out to Nicola’s, a quaint Italian place, for an early dinner. All the pasta and sauces tasted fresh and homemade. Our table was in front of a gorgeous picture window, that sadly overlooked a trash filled alley, but otherwise we had a great experience. I had the gnocchi and while it was probably too rich of a pre-race choice, it was divine. The bread basket was an extra dollar, but I would have paid $20. It had a variety of types and flavors of breads and rolls, all fresh and warm. It was superb. After dinner we went back to the hotel for drinks (of water for me) and an extended debate on what to wear for the race. The weather was predicted to be 38 degrees at the 6:30 am start and 42 at the finish. Perfect running weather, but a clothing challenge. I finally decided to wear short sleeves with capris, the only downside was that I forgot to pack a short sleeve shirt. Then with a sudden awful sinking sensation, I realized that I was going to have to do something obnoxious, something that would violate all my ethics, something truly mortifying: I would have to wear my race shirt *I can barely even type it* on race day. I am a firm believer that you should never wear a race shirt unless you have completed the race, however my poor packing skills left me with no other choice. Before bed, I embarrassingly pinned my race number to my race shirt. The 5 am wake up call jolted me from a deep sleep. It felt obnoxiously early, as it was actually 4 am “our time”. Regardless, I rolled out of bed, started up the coffee pot and choked down my bagel. We left the hotel a little later than planned because “she who cannot be named” was unhappy with her pre-race bowel evacuation experience. We rushed to the starting line and slid into our corral as they finished up the last few bars of the national anthem. The first mile was a little crowded, but by mile two the crowds had thinned and I found my pace. My goal was 8 min/ miles. It seemed to take a few miles to warm up and the pace wasn’t as comfortable as I had hoped, but I simply concentrated on “running the mile I was in” and keeping the pace steady for the first 5 (flat) miles. I knew there were some big hills coming up, but when I actually saw the incline at mile 7, perhaps a few expletives might have escaped my lips. Mile 7 was one intense giant steep hill, but the crowd support was fantastic. A speaker half way up was blaring “eye of the tiger” and a guy with a megaphone and pink camo pants was holding a giant letter “F” and encouraging the runners to “Just F the hill”. It seemed to go on forever, but at the top we did get a little bit of recovery before the next monster hill. The majority of the course from mile 7-10 was uphill. The view was beautiful, with green hills and glimpses of the river, but the hills were painful, physically and mentally. The real reward was that once we hit mile 10, it was all down hill, literally. You get to coast in the last 3 miles. I felt like I was flying. I finished strong and made up some time from my hilly miles. When I saw the finish line I knew I had hit my goal. I set a 3 minute PR on a difficult course. It felt amazing. After finishing I headed back to the hotel and jumped straight in the shower. One advantage to racing at 6:30 is that I was back to the hotel by 9 a.m. My friends also had great races, Abby set an amazing PR and Christina and Shannon had a fabulous time enjoying the race course. Once we all showered, we ate a fantastic brunch at Maplewood Kitchen and Bar, then road tripped it back to Franklin. It was a short but wonderful trip, with tons of laughs, coffee, blisters and love. Cincinnati Flying Pig was a great race. I ran hard and hit my goal, but those hills were no joke. One of my favorite moments was as we ran across the first major bridge I looked over and saw a marine running with an American flag, with a budding sunrise reflecting off the river. It was one of those perfect running moments that makes you remember why the hell you do it. Why you get up at 4 am, deal with blisters and skip the wine. You do it for the stolen moments of gorgeousness, to feel your body pushed to its limits and to feel like a badass, running your best race at 41 years old. 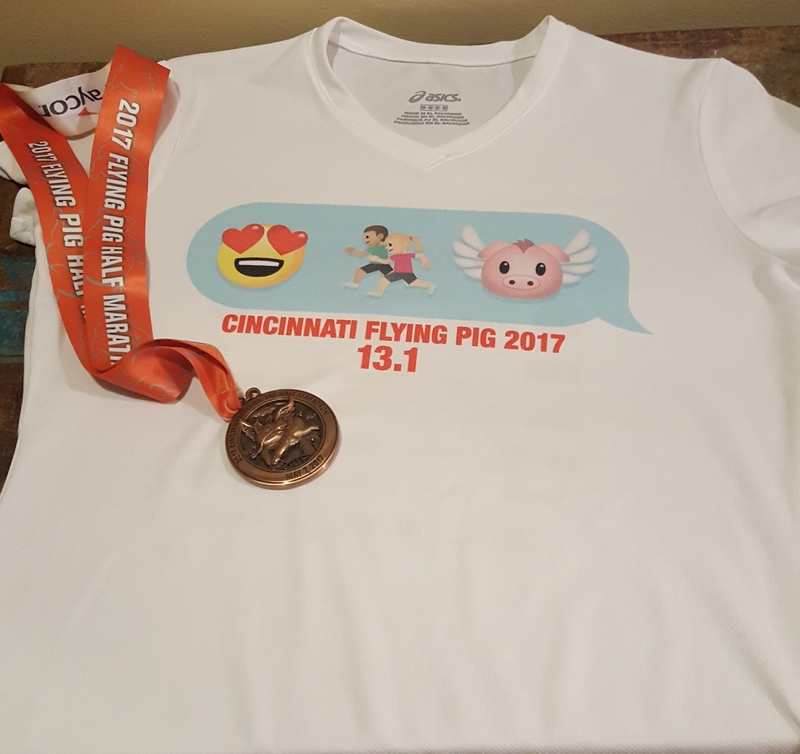 This entry was posted in Running and tagged flying pig half marathon, Half Marathon on May 26, 2017 by drrupe. Tulips are blooming and April showers have empowered the grass to paint the landscape a vivid green. A sweet reward after all the bleak gray training runs in the early morning darkness of Winter. Spring is here and I am ready to race. Done with using an entire load of laundry for one run! The activities that bring me the most joy (other than being with my family) are running, travel and spending time with my friends. So this spring two destinations half marathons are on my schedule. 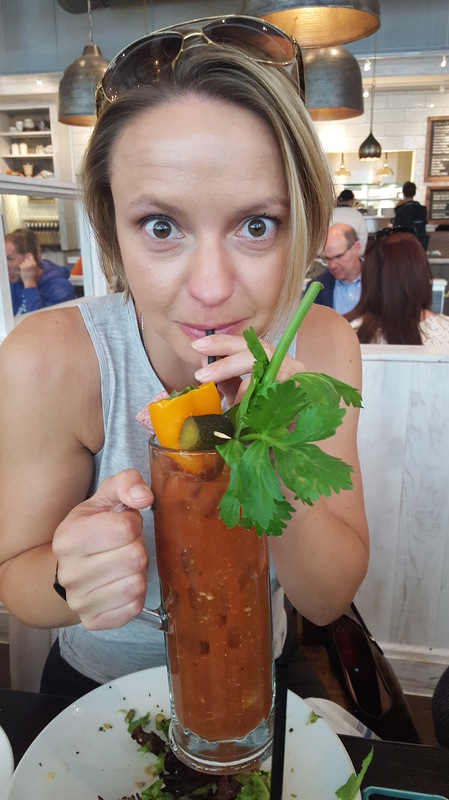 Me and my local running group are planning to run the Cincinnati Flying Pig Half Marathon in May and then I’ll travel to visit one of my best friends and run the Seattle half marathon in June. 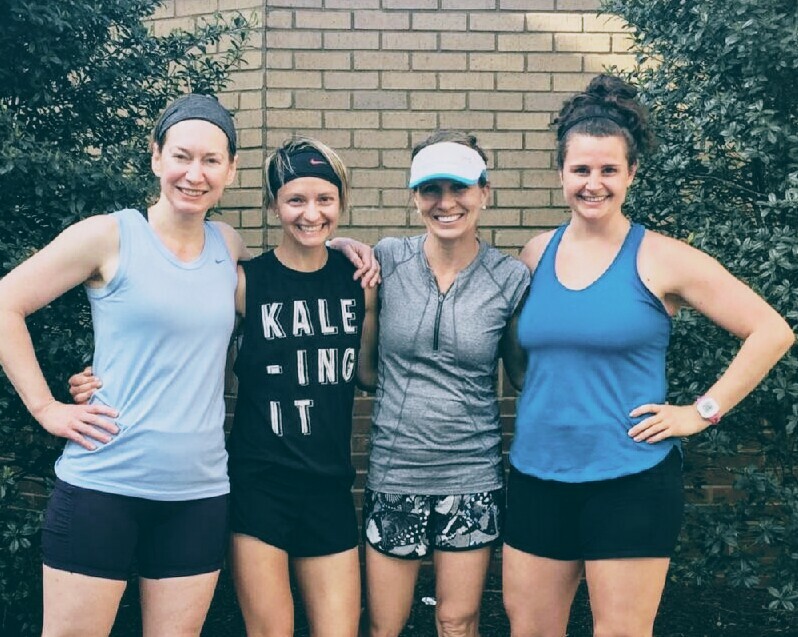 Friendships +Running + Travel = Best of Times. Long run to First Watch for breakfast. As we thought about our race schedule for the spring, we wanted to find a fun, close destination half. Even though I broke up with the Nashville Country Music Marathon last year, I almost caved and signed up after after I saw the medal for this year (it lights up! ); but I stood my ground and decided to venture to Cincinnati, OH this year for The Flying Pig half marathon. The Flying Pig is know for great crowd support and party atmosphere but also for being a hilly course. Hopefully our Tennessee hills will have our quads in good enough shape. 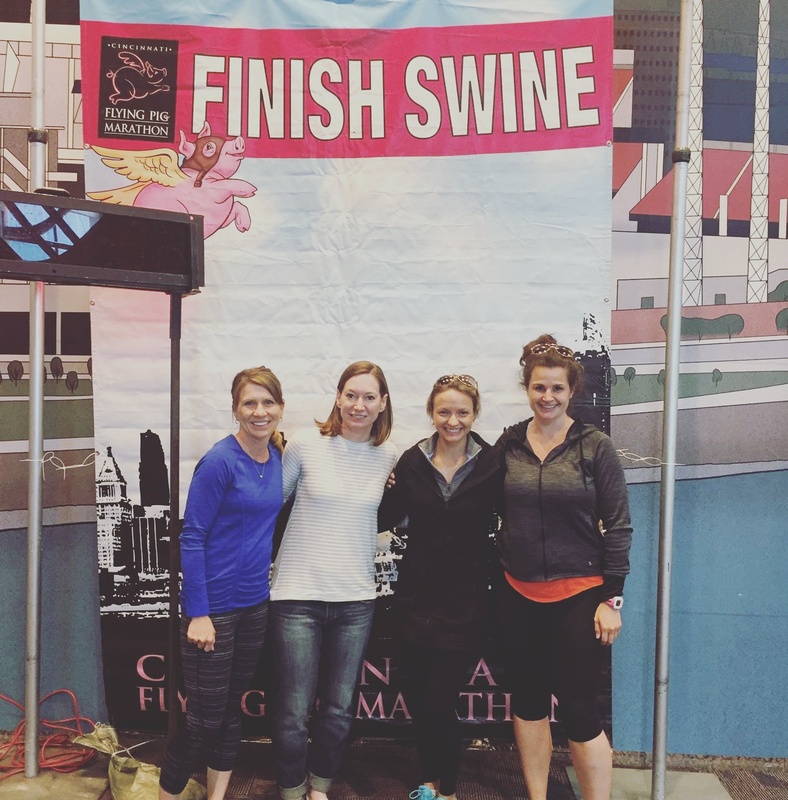 Our initial idea was not to take this race too seriously and simply enjoy a girls weekend, but then after Chicago when we all made huge improvements in our time by doing the Hanson Method, we decided to try the same strategy for a half marathon. 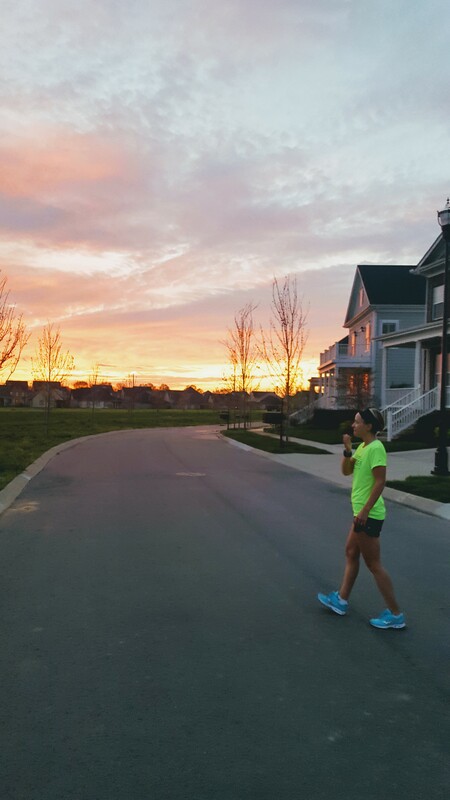 We have consistently been doing speed work and tempo runs and alternating our long runs between 10-14 miles a week, with total mileage between 30-40 miles. This is the most structured training plan I have ever used for a half marathon. It a lot of mileage for a half. I’m hoping to finish under 1:45 ( my PR is 1:48). Life, work, weather and vacations have caused me to miss far more workouts than I would’ve liked, but I have still trained much harder for this half than any others in the past. Catching a gorgeous sunrise on an early morning run. The Rock and Roll Seattle Half is late June, so I will have some time to recover in between races. I’m sure it will be a crazy hilly race, so likely I will try to enjoy the scenery and experience and not push for a super quick time. 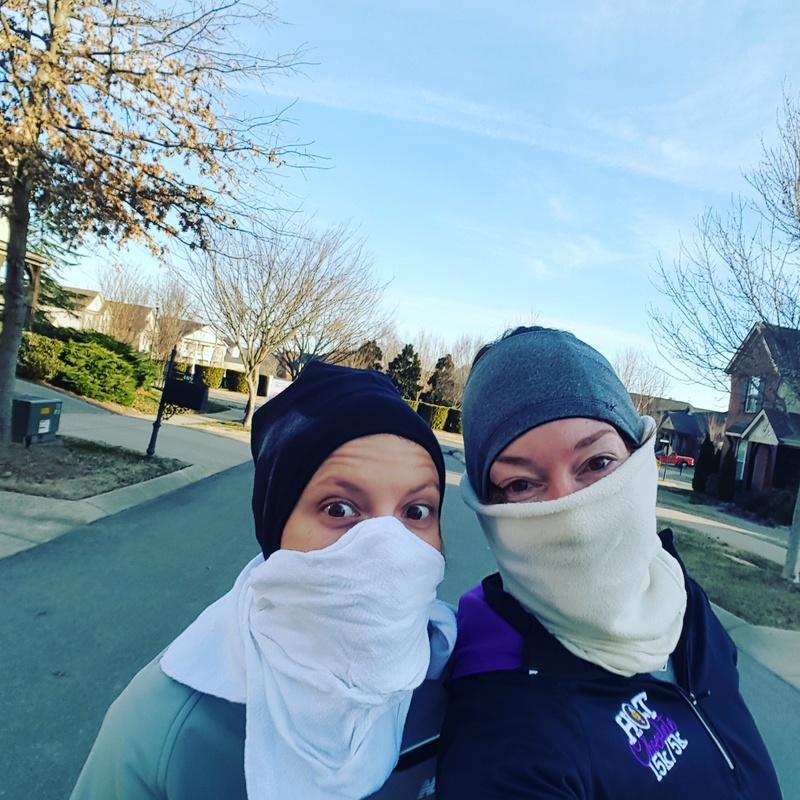 Most of our long runs have been out and backs from our neighborhood, but we were determined to do a least one long run on the Brentwood Greenway. Sadly the weekend we decided to do it, there was a wee bit of flooding. We got lost due to trail closures and got chased by wolves (well we say a coyote on the other side of a field and it defiantly made us run faster). 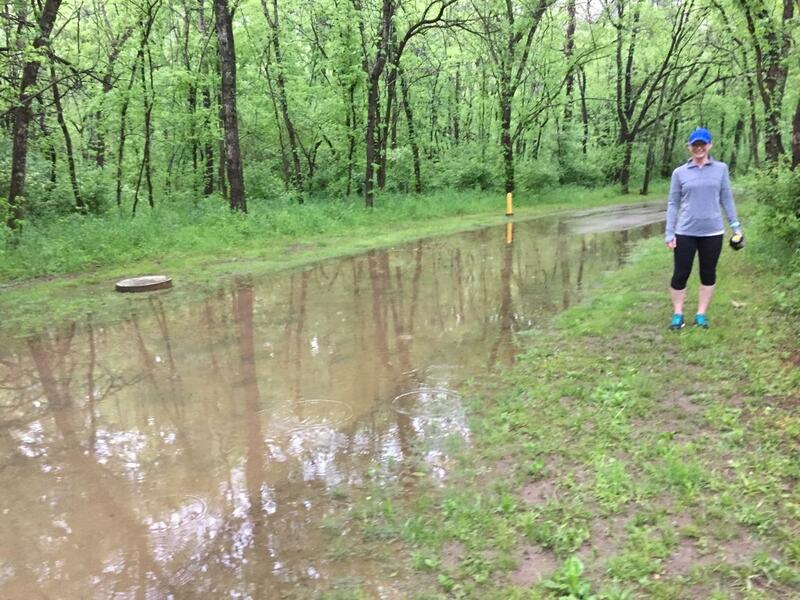 There were times it felt like we were doing a mudrun, but it was the most memorable 14 miles of our training. The trail was a little damp. Hoping that Cincinnati turns out to be a memorable race for all the right reasons. I plan to start out slow to save some energy for the hills. 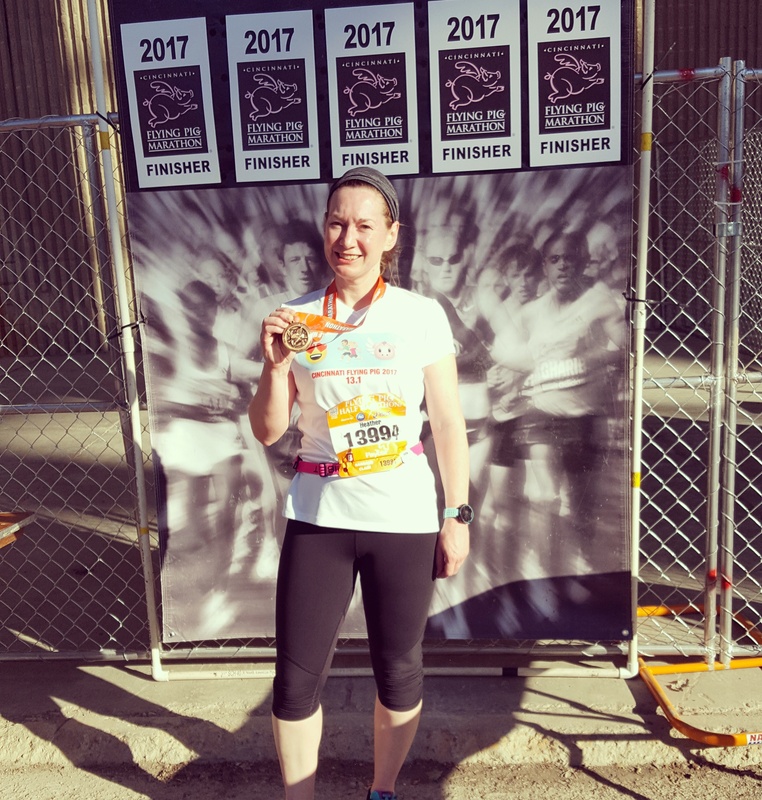 Hoping to run was my best half marathon, but even if I don’t, I’ve already had enough laughs in the the training to make the race a personal success. This entry was posted in Running and tagged flying pig half marathon, Half Marathon, half marathon training, Hanson Method on April 30, 2017 by drrupe.